MotorGuide's 2-Blade Power Props are built to deliver maximum power, thrust and efficiency. 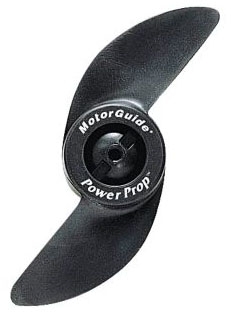 Motorguide Power Props come with prop, prop pin and prop nut. The 3'' Motorguide 2-Blade Power Prop, part # MG0476B, fits any MotorGuide trolling motor with a 3'' diameter hub (lower unit).